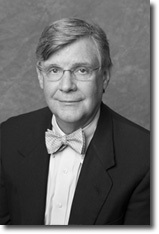 J. Denton Harris IV, M.D. 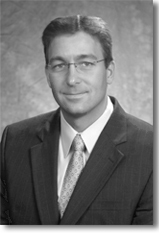 John A. Henderson IV, M.D. A urologist is a physician who has specialized knowledge and skill regarding problems of the male and female urinary tract and the male reproductive organs. Urology is a surgical specialty. Urologists are trained to provide both medical and surgical treatment. As specialists practicing together, we share on call duties to ensure that a urologist is always available to you for emergencies. We also consult each other about cases so that you benefit from our combined knowledge. Dr. J. Denton Harris IV is a graduate of Rice University and the University of Texas Southwestern Medical School in Dallas. Dr. Harris interned at Parkland Memorial Hospital in Dallas and completed his residency at the University of Texas Medical School at Houston affiliated hospitals. He has been certified by the American Board of Urology since 1982. Dr. Harris is published in the journals Urology and Investigative Urology. A native of Dayton, Texas, he is married and has three children. Dr. John A. Henderson IV is a graduate of Baylor University and the University of Texas Medical Branch at Galveston. Dr. Henderson interned and completed his residency at the University of Texas Medical Branch at Galveston. He has been certified by the American Board of Urology since 1988. Dr. Henderson is published in the Journal of Pediatric Surgery. A native of Beaumont, Texas, he is married and has four children. Steven A. Socher, M.D. is a board certified Urologist who has been practicing in Beaumont since 1997. He is a graduate of Harvard Medical School and completed his urological surgery training at the Harvard Program in Urology. Dr. Socher received his B.A. in biology from the University of Texas at Austin in 1986. He has interests in urologic oncology, female reconstruction, incontinence, and kidney stones. Dr. Socher is married with two children who attend school in Beaumont. 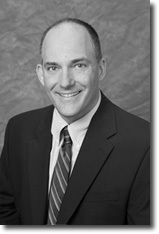 Trent D. Sterenchock, M.D. is a graduate of The Catholic University of America and Hahnemann University School of Medicine. He completed his professional training with an internship and residency at Walter Reed Army Medical Center. 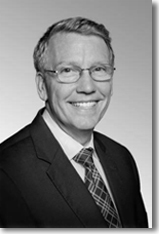 Dr. Sterenchock has been certified by the American Board of Urology since 2006. Prior to moving to Beaumont, he served our country as an urologist in the United States Army. His special interests are prosthetics and stone disease. He is an avid hockey fan.